This year is going by pretty fast seeing we’re already through Q1 for the current year. Microsoft has also been keeping us and our customers pretty busy with their rapid innovation cycle. I attended the Microsoft Envision conference this year and came away with one clear message: Microsoft wants to empower every person and every organization on the planet to achieve more. With that in mind, we’ve come across some very cool topics that you may find interesting. Check some of them out below! Do you dread the amount of time and effort it takes to create apps for your business? Microsoft has the answer! Stay up to date with the latest releases! Sync your Onedrive for Business to your Macbook! Alex Viera, one of our principal Consultants, shared his insight into using Nintex in the workplace on March 17th at the Microsoft Technology Center. Nintex can automate your time-consuming, manual processes and create streamlined workflows in every department (HR, Operations, Finance, Sales, Marketing, IT) of your organization. Nintex is an intuitive, non-code, browser-based, drag-and-drop workflow/form designer that reduces the work involved in building, using and improving processes. Developing a CMS without governance or retention policy makes organizations vulnerable to litigation and compliance concerns. We held a “5 steps to get started with effective content governance strategy and how Office 365 can help?” webinar to help guide customers in successfully implementing Office 365. If you missed the webinar, download the presentation and request help with your implementation. Still on the fence about SharePoint 2016? Read what our expert Ravi has to say about why you should switch to Microsoft’s latest release of Sharepoint! Sharepoint Saturday in the Silicon Valley! After a successful Sharepoint Saturday event in Sacramento, Netwoven is proud to be the Platinum Sponsor for SPS Silicon Valley being held in Mountain View on June 11, 2016. Make sure to attend to stay on top of the latest developments in the SharePoint world. 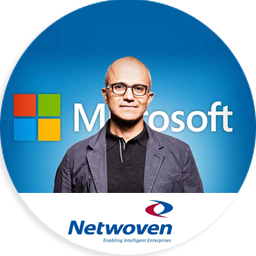 Netwoven Inc. is a leading Microsoft solutions provider (Gold Partner) providing solutions for Business Productivity, Business Automation, Infrastructure Services and Big Data Analytics to mid-market and large enterprises. We believe in delivering solutions tailored to specific needs of our clients in a cost-effective manner using our global delivery model. Our services and solutions come in the form of consulting projects, specific products & services, and staffing services. We were founded in 2001 by senior-level executives from Microsoft, Oracle and Intel.